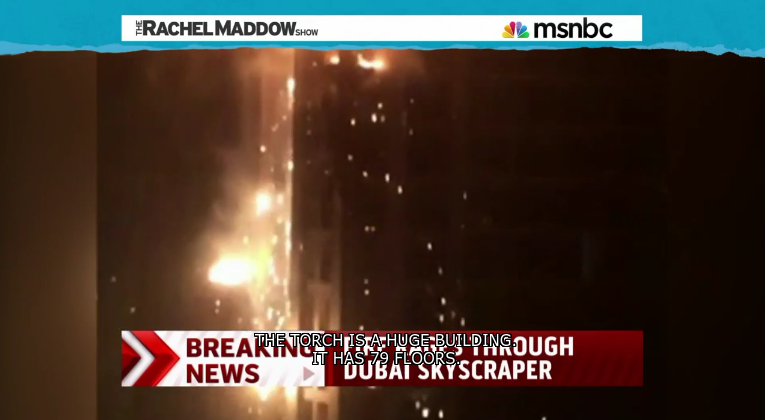 Culture & Society Blog: Only In America Do Buildings Fall From Fire. Do We Need To Re-evaluate Our Building Codes? 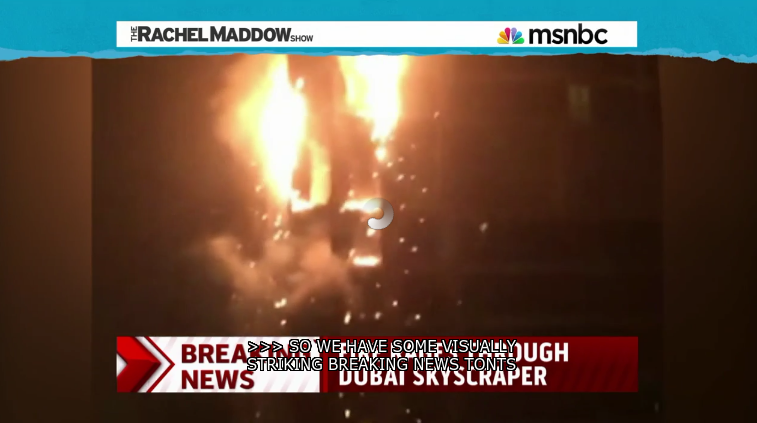 "There are no real buildings in America..."
Fire rips through residential skyscraper: in Dubai Rachel Maddow reports breaking news of a high rise fire in Dubai engulfing many floor after beginning somewhere near the 50th floor and raining burning debris on the street below. John Tsioris, an eyewitness from across the street describes the scene. 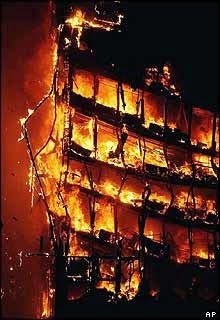 I thought buildings fell into their own footprint when they caught on fire? 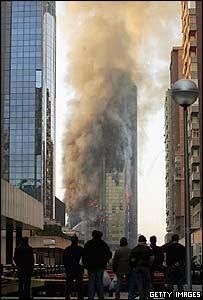 On 9/11 three buildings collapsed from fire. Two of those buildings everyone knows about and the excuse is that jet fuel made it so hot that the building collapsed despite it being scientifically impossible for jet fuel to burn hot enough to melt steel enough for it to collapse... and the kind of eye startling fact that the whole building wasn't even on fire. The third building that fell that day was known to be impossible in the history of architecture yet it was known before it fell that it would fall. Then it 'imploded' in the words of Rudy Giuliani. If fires can drop buildings in the United States as if they were made of paper... we have a very serious problem that we need to have a very public debate and inquiry into. 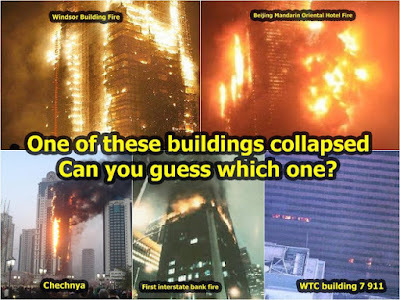 How can we allow our country, the greatest country in the world, to have buildings that just fall down if a few floors catch on fire while in other countries whole buildings can burn for house, get completely evacuated, AND THEY STILL DON'T FALL? HOW CAN BUILDINGS NOT FALL FROM FIRE? It's impossible. This isn't the first time that a building outside of the United States caught of fire in a spectacular blaze and the building still didn't fall. 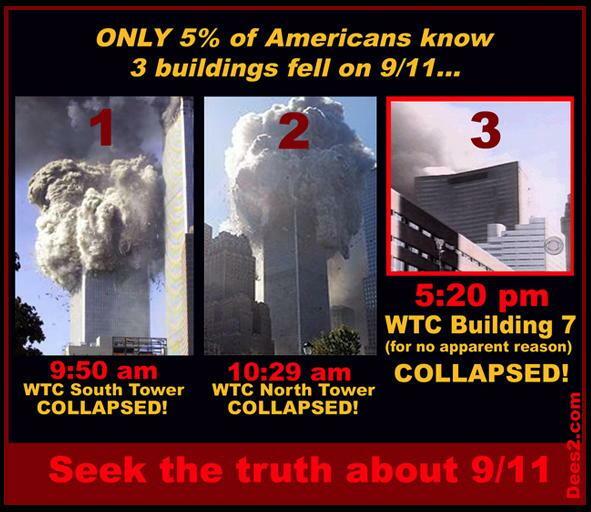 I call it, "The Mystery Of The Windsor Building That Didn't Know How To Fall"
Here is an example of the three buildings that fell on 9/11. Notice not even one of them was on as much fire as the Windsor building. 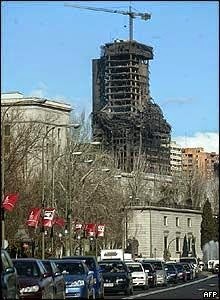 Notice the kind of fires that caused the whole building to collapse as if it was of paper. No other building in the world collapses that way from fire! 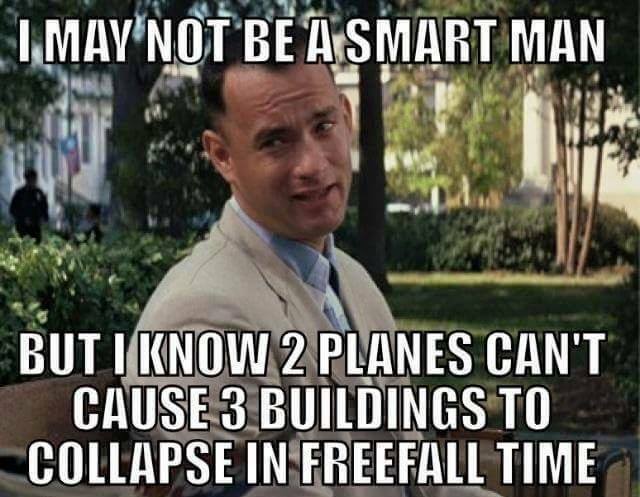 If the top part of the building was on fire, why would the WHOLE building fall?